With one of our technology partners here in the industry, Veeam, we are both starting to talk about the additional “one” – one copy of your data needs to be stored offLINE. The reason for keeping one copy offline is so that copy is protected against ransomware and malware attacks. 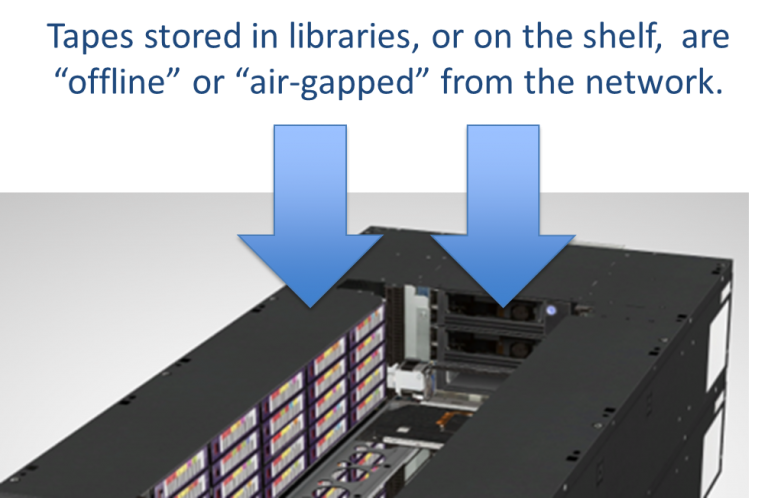 In fact, a recently authored a piece in Data Center Knowledge that explains how customers are increasingly using the cloud for “offsite” storage – but continue to use tape because of its offline properties. And for those Veeam users who are looking to follow this “3-2-1-1” best practice, there’s even better news. Quantum has just released a converged tape appliance for Veeam, which makes it fast and easy to create tape in a Veeam environment for offline protection. You can check out more details here, and let me know what you think about the new 3-2-1-1 rule! Contact your BackupWorks.com Account Rep Today at 866 801 2944 and ask about offline storage with Quantum and Veeam.